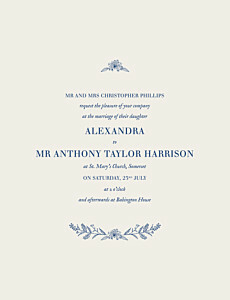 Navigating wedding invitation wording can be difficult, especially when it comes to traditional wedding invitations as one may choose to adhere to traditional wedding invitation etiquette. 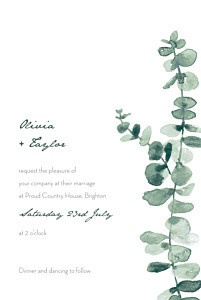 Head to our advice on traditional wedding invitation wording for a more in-depth look at what information you are expected to include on your traditional wedding invitations. 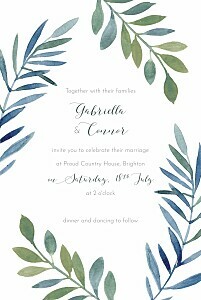 There are several options available in terms of wording for traditional wedding invitations and having this bit of choice will allow you to personalise your wedding invitations to suit your style. 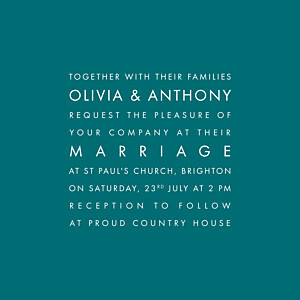 Aside from the wording, you can also personalise the size and font of your text to make it your own while achieving that time-honoured classic elegance. 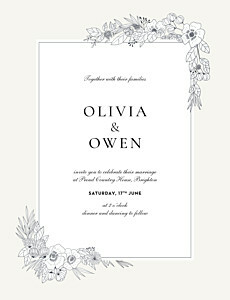 Take a look at our guide on how to personalise your traditional wedding invitations for more inspiration. 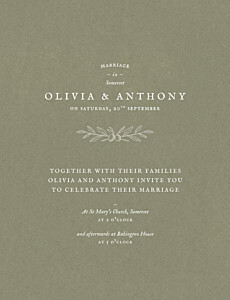 Combine your traditional wedding invitations with traditional day-of wedding stationery ranging from wedding orders of service booklets to wedding place cards to keep a classic thread running throughout your special day. When the festivities have passed, opt for one of our traditional wedding thank you cards as the final piece of your traditional wedding stationery. 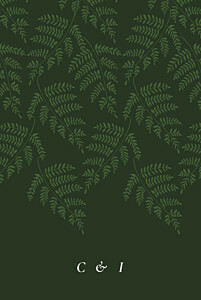 Each piece of our range of wedding stationery is available on the same high-quality paper, designed exclusively for our customers by our talented graphic designers. Contact us to discuss any advanced personalisation of our traditional wedding invitations or stationery that you may have in mind.